Linq3, which builds and markets technology for digital lottery game play, announced the appointment of Matt Dillard as chief legal officer. A fast-growing Atlanta lottery-technology startup has hired its first chief legal officer. Linq3, which builds and markets technology for digital lottery game play, recently announced the appointment of Matt Dillard as chief legal officer. Dillard’s last position was deputy general counsel for operations and global vice president of legal technology at tech travel and tourism company Travelport. In his new role, Dillard is responsible for all of the company’s legal matters, overseeing a department of three: himself, an industry-experienced in-house lawyer and a paralegal, Dillard said via email. His team, Dillard added, will be doing most of Linq3′s core business in-house with continued support from three of the company’s go-to firms: Baker McKenzie, Brownstein Hyatt Farber Schreck and Kirkland & Ellis. Dillard began his legal career as an associate in the Atlanta office of Kilpatrick Stockton (now Kilpatrick Townsend & Stockton). He then spent nearly 10 years holding in-house roles of increasing responsibility, culminating in the position of associate GC at travel tech company Worldspan. 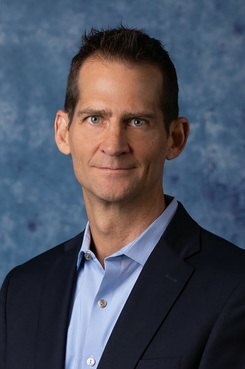 With a pre-law-school background as an engineer, Dillard’s specialties include information tech, intellectual property, cybersecurity and privacy and data protection, according to a news release announcing his appointment. Prior to earning his law degree at the University of Virginia School of Law, Dillard worked as a research engineer and as a legislative assistant in the U.S. Congress—first to then-Sen. Sam Nunn, D-Ga., and later to then-Rep. Charles Hatcher, D-Ga.